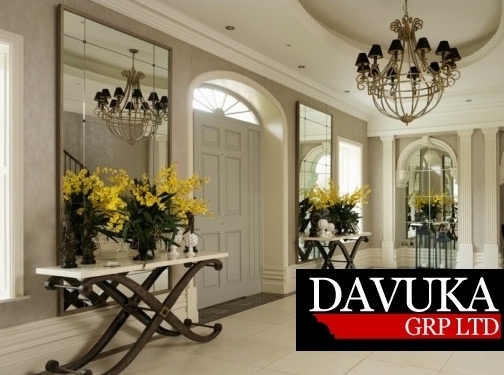 Davuka GRP Ltd is universally recognised as the UK"s premier supplier of decorative coving, columns, skirting boards, corbels and ceiling roses, where you can be assured of a first class service of a first class product manufactured to the highest European quality standards. Whatever your requirements, you will find an extensive collection of inspiring designs – from modern/contemporary and art deco to traditional Victorian / Edwardian / Georgian patterns. We even supply mouldings as a flexible option (for curved walls and bay windows etc) in our coving, dado and skirting patterns – something that is extremely difficult to achieve in plaster or MDF. Our focus is on quality and a continuous improvement in all areas, whether sustainable innovation, employee safety or environmental concern (nearly everything in our product range is 100% recyclable). Equally, customer service is of absolute paramount importance to us – we will do whatever is feasibly possible to ensure you have the best possible experience with our service and product as our 300+ feedback reviews demonstrates – "The service was the best that I have ever received in 25 years of business!" We are proud that we have the highest number of 5-star positive reviews compared to any other coving supplier. The independent TrustPilot customer review links are found at the top of each page. Here"s our latest review: "I"ve used Davuka for coving / cornice on 3 refurbs now. If it"s modern coving with the WOW factor you"re after, these are the guys! They sell unique modern coving (I couldn"t find anything similar to it anywhere!) Their customer service is spot on, I asked for samples of the same coving I ordered 3 years ago on my last project and they dug out the record of my old order and sent me the same ones, which arrived the next day! I don"t normally even leave online reviews, but it"s refreshing to deal with a company who are polite and easy to deal with, which is a rare thing these days, so thought I"d make an exception this time. Overall, very happy :-)!" "Having used Davuka now over a number of years, the consistency of great service, great products and great value make Davuka an example to all small companies of how to keep customers happy. Why buy cheap rubbish from a DIY shed, when you have an amazing range of better quality products delivered direct to your door in typically 2 days!!! Well what more can one say, go anywhere else and you"ll regret it!" We are happy to provide a no-obligation advice service and samples, so please feel free to email or call us (020 8660 2854) with any questions. You can buy securely* on-line, usually for guaranteed delivery within 2-3 days. And it doesn"t matter whether you live in Ireland, the Channel Islands or the Scottish Highlands or Islands – we WON"T add an exorbitant delivery charge to your order. Delivery is a maximum of £10.80 but usually FOC if your order value is more than £150+VAT irrespective of your location. *Our Site Security certificate link is at the footer section of each page. For some superb images and ideas to suit all tastes and styles, please download our Book of Room Inspiration (10MB PDF file). All our catalogues are now downloadable to your iPad / tablet- just search for Davuka in Google Play or iTunes. 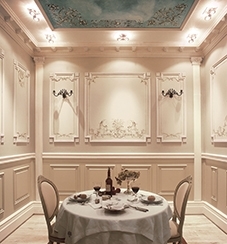 UK (Coulsdon, Surrey) based business providing decorative architectural mouldings (covings and cornice), as well as other interior features / accessories and tools. Website includes e-commerce facilities, terms and conditions (including delivery and returns information), numerous testimonials (via TrustPilot), projects, FAQs, full contact details including company registration and VAT numbers.